Sin is a transgression against God. It has produced consequences which God and we never intended. Sin has warped the soul’s desires and passions, producing all kinds of unrighteousness. Sin is unrighteousness, and sinners live a life of unholiness before God. God had a solution. Sin is separation. It is death. Adam, as the head of the human race, disobeyed the explicit command of God who said, “Of every tree of the garden you may freely eat; but of the tree of the knowledge of good and evil you shall not eat, for in the day that you eat of it you shall surely die’” (Genesis 2:16-17). Adam understood the prohibition and his disobedience plunged mankind into a tragic condition of death. Scripture declares, “Therefore, just as through one man (Adam) sin entered the world, and death through sin, and thus death spread to all men, because all sinned” (Romans 5:12). Spiritual death is a condition that describes the severed relationship between God and man. This became manifest when “they heard the sound of the LORD God walking in the garden in the cool of the day, and Adam and his wife hid themselves from the presence of the LORD God among the trees of the garden. Then the LORD God called to Adam and said to him, “Where are you?” So he said, “I heard Your voice in the garden, and I was afraid because I was naked; and I hid myself” (Genesis 3:8). Prior to sin, God and Man fellowshipped. Now, Adam and Eve fled from the presence of God and hid themselves among the trees of the garden. Adam and Eve feared in their hearts. They had become shameful before God. Spiritual separation is alienation from God and has deprived the human spirit of the ability to understand the things of the Spirit of God. Scripture says, “… the natural man does not receive the things of the Spirit of God, for they are foolishness to him; nor can he know them, because they are spiritually discerned” (1Corinthians 2:14). The Lord Jesus himself describes sinners “… out of the heart proceed evil thoughts, murders, adulteries, fornications, thefts, false witness, blasphemies” (Matthew 15:19). A consequence of sin is physical death. All will die. The Lord assured Adam, “In the sweat of your face you shall eat bread till you return to the ground, for out of it you were taken; for dust you are and to dust you shall return” (Genesis 3:19). James writes, “…the body without the spirit is dead” (James 2:26). A sinner ends his earthly life in an irreversible state of eternal separation from God which is the second death. “But the cowardly, unbelieving, abominable, murderers, sexually immoral, sorcerers, idolaters, and all liars shall have their part in the lake which burns with fire and brimstone, which is the second death” (Revelation 21:8). The consequence of sin must be remedied if a sinner is to be saved from eternal separation from God. He must be restored to spiritual life, and into fellowship with God in the Lord Jesus Christ. John says, “that which we have seen and heard we declare to you, that you also may have fellowship with us; and truly our fellowship is with the Father and with His Son Jesus Christ” (1 John 1:3). For the sinner restored to fellowship with God, physical death is nothing to be feared. Paul said, “…according to my earnest expectation and hope that in nothing I shall be ashamed, but with all boldness, as always, so now also Christ will be magnified in my body, whether by life or by death. For to me, to live is Christ, and to die is gain. But if I live on in the flesh, this will mean fruit from my labor; yet what I shall choose I cannot tell. For I am hard-pressed between the two, having a desire to depart and be with Christ, which is far better” (Philippians 1:20-23). For the believer, to be physically dead is to be absent from the body and present with the Lord. Paul writes, “For we know that if our earthly house, this tent, is destroyed, we have a building from God, a house not made with hands, eternal in the heavens. For in this we groan, earnestly desiring to be clothed with our habitation which is from heaven, if indeed, having been clothed, we shall not be found naked. For we who are in this tent groan, being burdened, not because we want to be unclothed, but further clothed, that mortality may be swallowed up by life. Now He who has prepared us for this very thing is God, who also has given us the Spirit as a guarantee. So we are always confident, knowing that while we are at home in the body we are absent from the Lord. For we walk by faith, not by sight. We are confident, yes, well pleased rather to be absent from the body and to be present with the Lord” (2 Corinthians 5:2-8). John declared, “And I heard a loud voice from heaven saying, “Behold, the tabernacle of God is with men, and He will dwell with them, and they shall be His people. God Himself will be with them and be their God. “And God will wipe away every tear from their eyes; there shall be no more death, nor sorrow, nor crying. There shall be no more pain, for the former things have passed away” (Revelation 21:34). “The wages of sin is death, BUT the gift of God is eternal life through Jesus Christ our Lord.” What a stark contrast is this gift of eternal life. God from His heart of love and grace freely offered to all sinners this gift who would receive it. The gift of eternal life comes at the cost of the life of God the Father’s beloved Son, the Lord Jesus Christ. Jesus paid the extreme sacrifice on the cross by bearing in His own body the sins of all mankind. For it is written, “For He (God) made Him to be sin for us who knew no sin that we that we might become the righteousness of God in Him” (2 Corinthians 5:21). Thus, sin and death were laid upon Him who is the life. And in His resurrection, Jesus Christ conquered sin and death. “For as in Adam all die, even so in Christ shall all be made alive” (1 Corinthians 15:22). John writes, “And this is the testimony: that God has given us eternal life, and this life is in His Son. He who has the Son has life; he who does not have the Son of God does not have life.These things I have written to you who believe in the name of the Son of God, that you may know that you have eternal life, and that you may continue to believe in the name of the Son of God” (1 John 5:11-13). The Lord Jesus is the only means to eternal life and fellowship with God as He declared, “I am the way, the truth, and the life. No one comes to the Father except through Me (John 14:6). Being freed from sin, we manifest a life that reflects Christ’s character of holiness and righteousness. For we have been created new creatures in Him to do the good works which the Father has ordained for us to do. “For we are his workmanship, created in Christ Jesus unto good works, which God hath before ordained that we should walk in them” (Ephesians 2: 10). 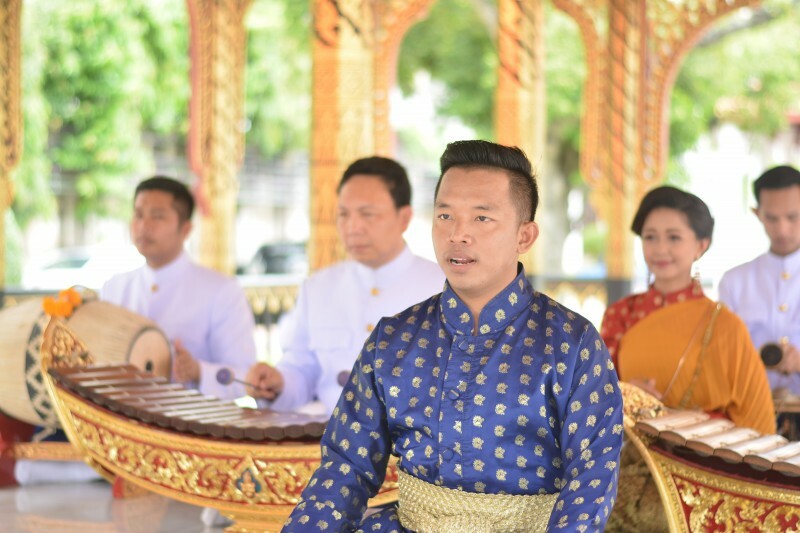 Having been granted unprecedented access deep in the heart of Thailand, at the National Museum, site of the former 18th-century palace grounds next to the Grand Palace, this music-arts video was filmed. 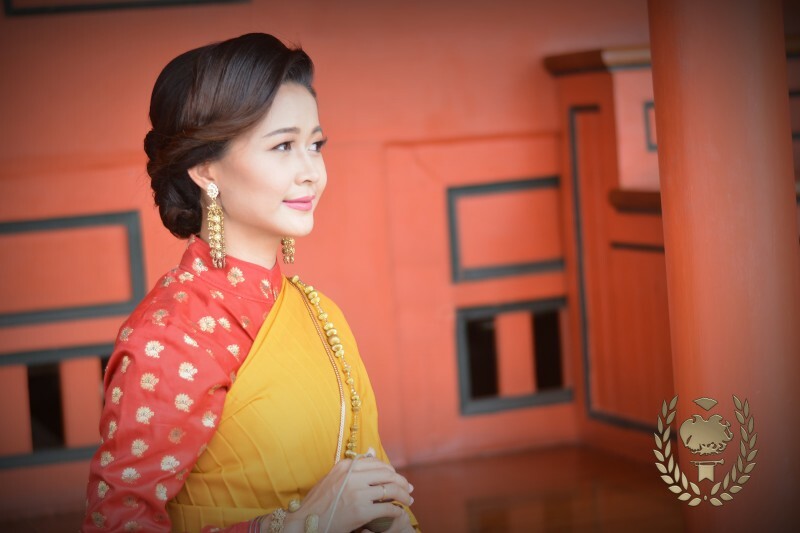 It is the first of its kind in the Kingdom. 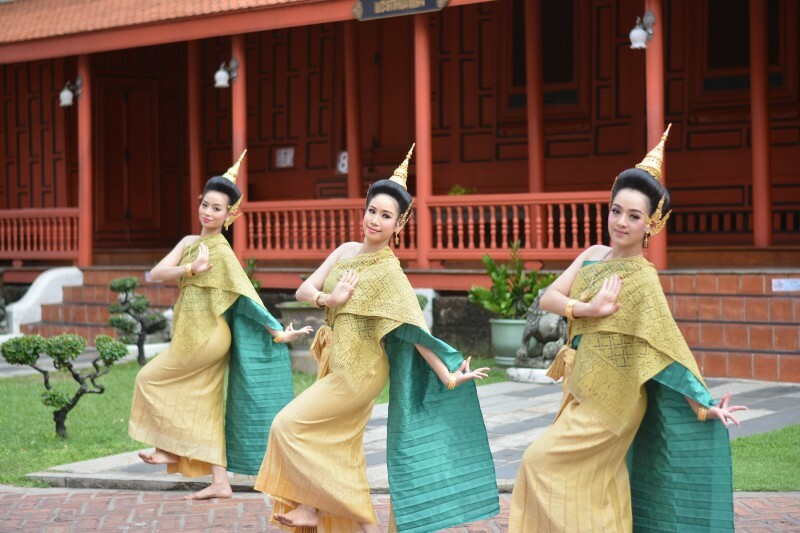 Thai dance and psalm-tones harken back to the glorious Ayutthaya Kingdom (1351-1767) when Thai art and culture reached its zenith and flourished. Psalm praising and praying is a way of speaking and singing the words at the same time. The melodic contours of the words are enhanced, the tempo unhurried, allowing the listener to ponder the beauty of the words. The Psalms for the last three-and-a-half millennia have endeared believers of all nations. 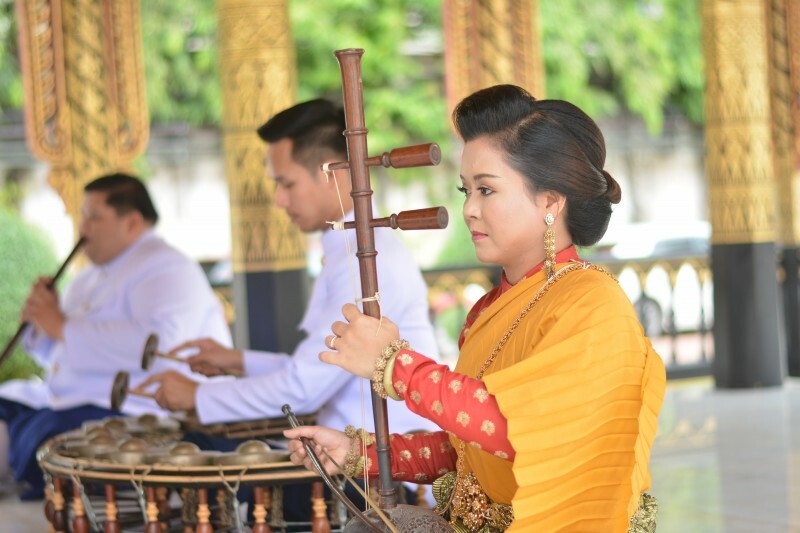 As Christianity flourishes in Thailand, the psalms are being embraced as their own. 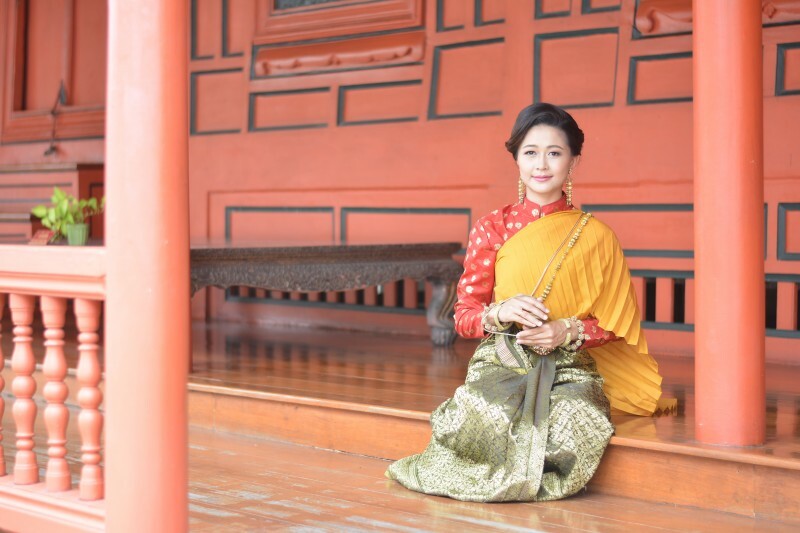 Collaboration with members and faculty of the Bunditpatanasilpa Institute, Thailand’s national school of music and fine arts, has broadened opportunities to promulgate the Word and highlight Thailand’s beautiful cultural arts worldwide. 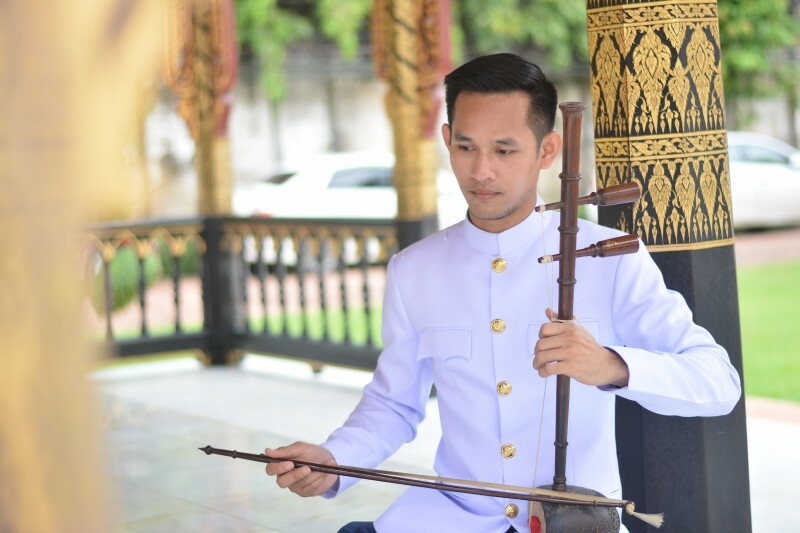 The biblical approach to the topic on music and worship taught by Dr. Arnfield Cudal is now part of Tyndale’s pastoral training and biblical theology tracks. Dr. Arnfield Cudal lectured at the Tyndale Heritage Lecture Series in June. 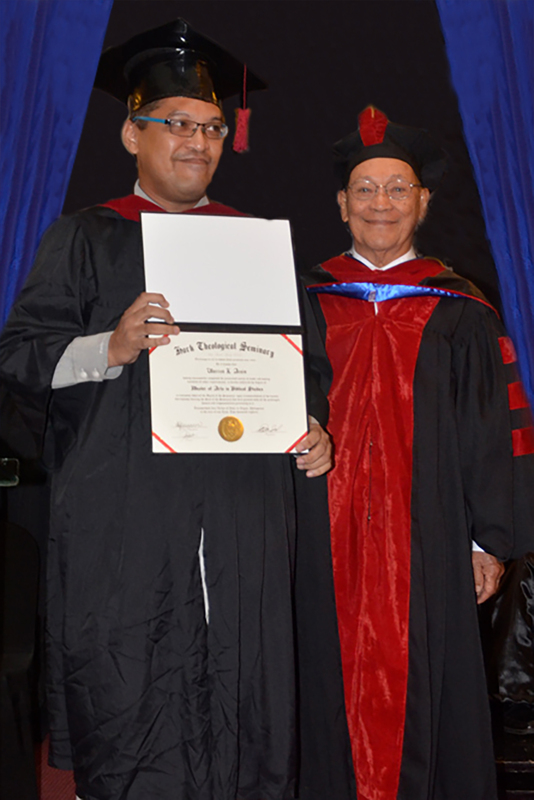 Music and worship studies remain a core requirement at Hark Seminary. Will the Real Worship Leader Please Stand Up?! 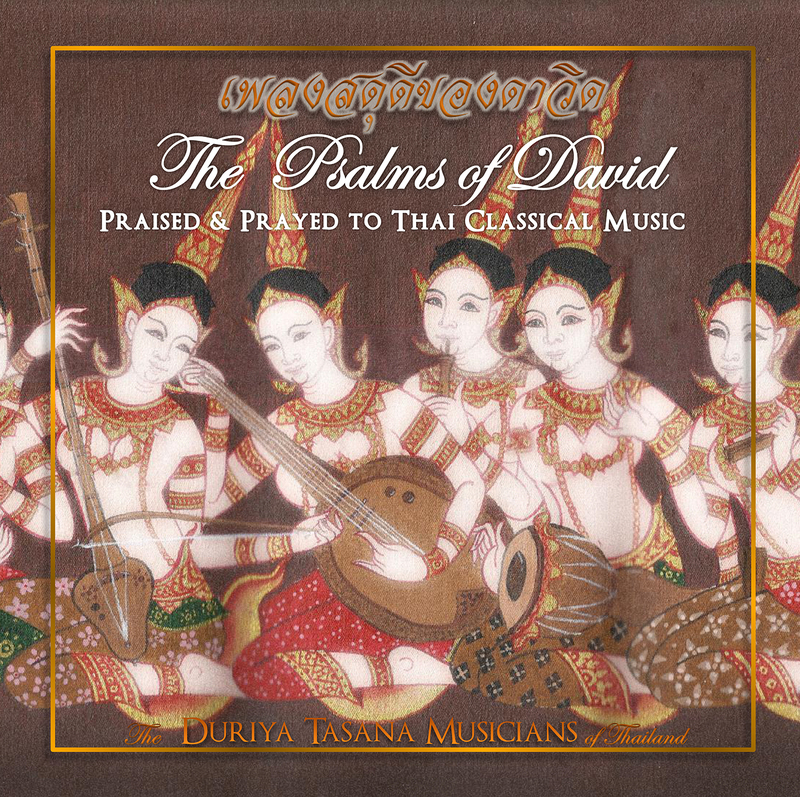 What are the spiritual songs of the Bible and why do we need to know them? 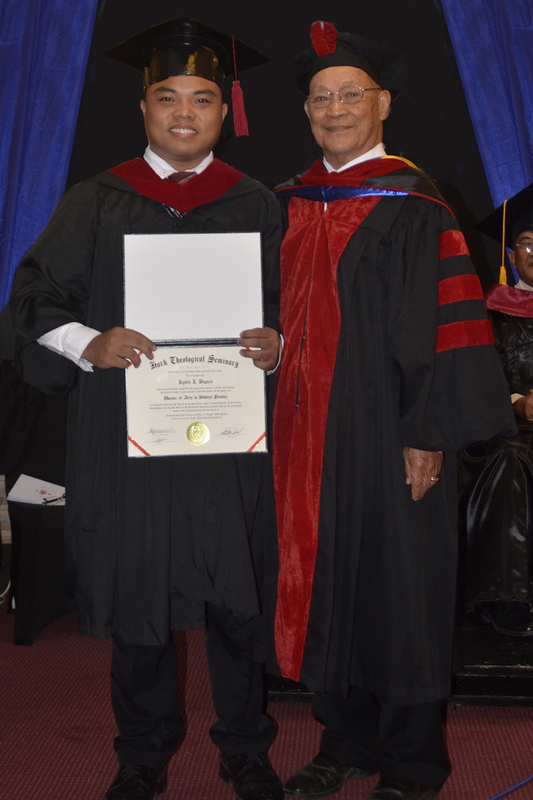 Eleven students from the Iligan and Iloilo campuses received their Masters of Arts in Biblical Studies (MABS) after three years of intensive study with Dr. Richfield Cudal. 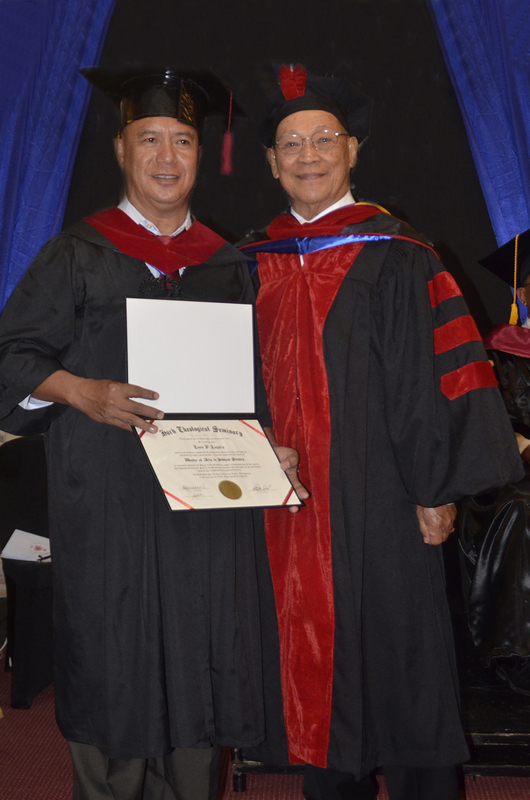 Dr. Valeriano G. Murillo was the commencement speaker at Iligan and Dr. Arnfield Cudal at Iloilo. Dr. Richfield Cudal spoke at the 50th Anniversary commemoration of Nonthaburi Baptist Church where he served as pastor 40 years ago. Dr. Arnfield Cudal also taught a three-hour seminar on the topic of music and worship. Attendees came from Nonthaburi, Romphrakun, and area churches. 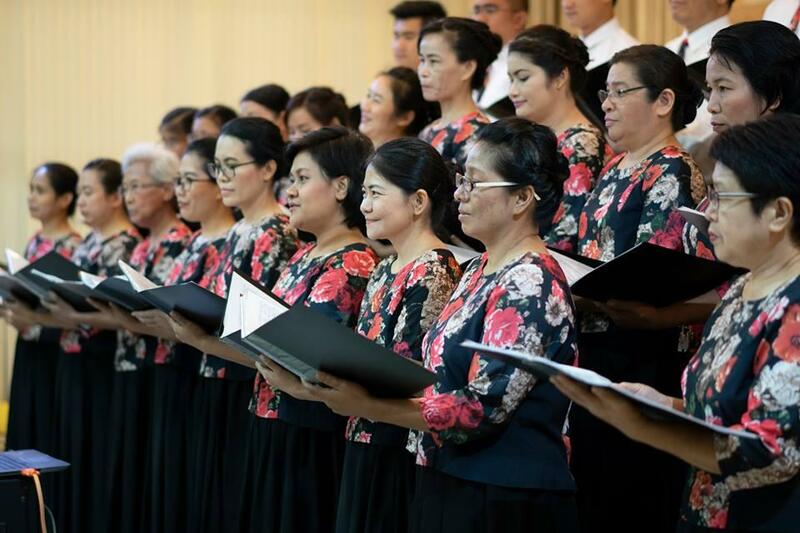 Here, music is presented by the Romphrakun Choir. 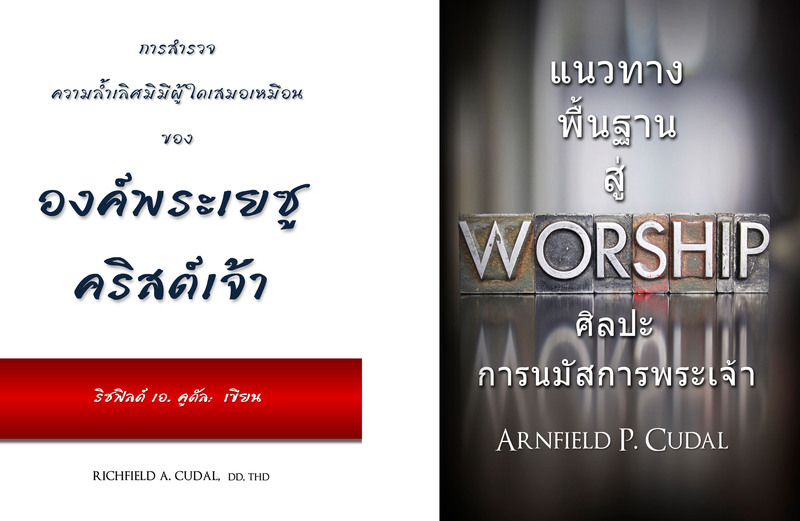 The Incomparable Lord Jesus Christ and The Ultimate Guide to Worship Arts in Thai and English were printed and distributed at seminars in Thailand, Philippines, and USA.